Jersey Central Federal Credit Union (JCFCU) is a not-for-profit financial cooperative, chartered in 1937 to serve employees of the Central Railroad of New Jersey (CNJ), who worked in the engine repair and train services departments in Jersey City, NJ. The founding members recognized the need for affordable and reliable financial services for people of modest means – services that were largely unavailable to them at local banks. The cooperative structure allowed members to pool their deposits and loan those funds to one another when needed. Times have changed quite a bit since 1937. 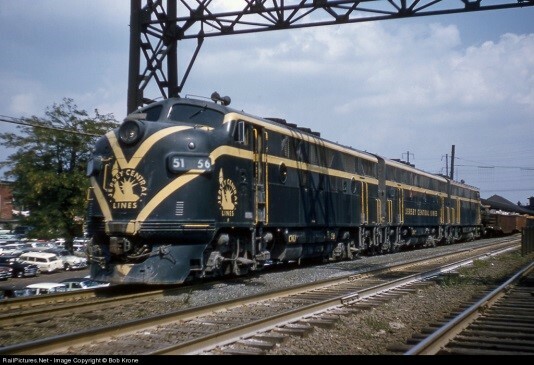 The CNJ, also known as the Jersey Central, was acquired by Conrail in 1976 through the merging of a number of financially troubled railroads. In 1983, NJ Transit (NJT) assumed operation of all commuter rail service in New Jersey from Conrail. As employees changed jobs and employers, credit union membership stayed constant. The policy of “once a member, always a member” not only allowed those existing members to maintain their credit union benefit during the mergers and acquisitions, it also allowed JCFCU to expand its reach to a new pool of employees. Headquartered in Cranford, NJ, JCFCU now consists of more than 3000 members across more than a dozen different companies and various industries. The credit union’s diversity of products and services has evolved beyond just the basic savings and loan offerings to include all of the essentials that members need to conduct their day-to-day financial affairs. One thing that hasn’t changed in all these years is the cooperative model on which we were founded. Every member is a part-owner of the credit union, with a vote on how the institution is run. This is one of the big differences between a traditional bank and a credit union. Banks are owned by their stockholders, not their customers. Credit unions exist solely to serve their members, not outside stockholders, and “profits” are returned to the members in the form of dividends and greater returns on deposits and lower rates on loans. JCFCU member deposits are insured by the National Credit Union Administration (NCUA) and backed by the full faith and credit of the United States government. Office Hours : Monday - Friday 9:00 a.m. - 4:30 p.m.
Jersey Central Federal Credit Union is committed to providing a website that is accessible to the widest possible audience in accordance with ADA standards. We are actively working to increase accessibility and usability of our website to everyone. If you are using a screen reader or other auxiliary aid and are having problems using this website, please contact us at (888) 772-3040.